Any business that uses social media among its online tools needs to be sure it’s also using analytics to measure the effectiveness of those tools. Analytics will help your business identify relevant data, and analyze and interpret that data. Such analysis and interpretation will allow you to make data-driven decisions about your business and its campaigns, rather than stumbling in the darkness without such valuable information. How does a business-owner go about finding the answers to those questions? With analytics tools. 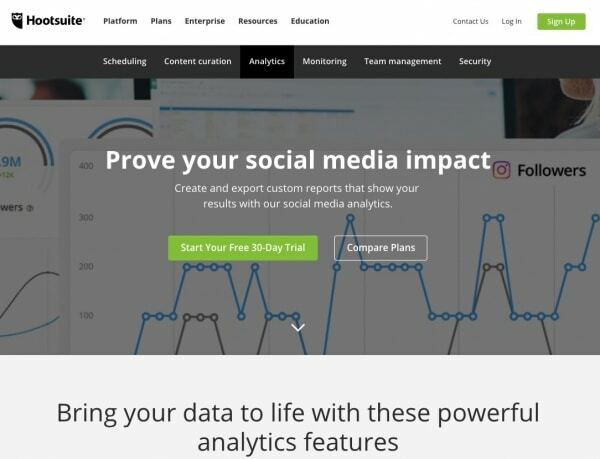 So let’s take at our top picks in analytics tools, free and otherwise, to enable your business to make effective decisions and improve your performance on social media. We can’t talk about analytics without talking about Google Analytics, and it’s our top choice because it’s powerful and free. Most people think of Google Analytics as a tool to analyze website performance, but it also holds a lot of information about social media. Using Google Analytics, you can tell how a user is interacting with your site, with details like pages-per-session and average session duration. The Social Pages report will tell you which pages on your site get the most attention with social media traffic. What social media platform is bringing the highest number of visitors to your website, by displaying sources of social media traffic. Goals Completion information, which allows you to assign goals for your social media posts, and then analyze the completion of those goals. Number of conversions from your social media posts. Number of assisted social media conversions. With all that data available, and the right price (free), it’s no wonder it’s Number One. We like CoSchedule for its in-depth post analysis that can be a benefit to all types and sizes of business. This tool analyzes the performance of social media posts to recommend improvements. 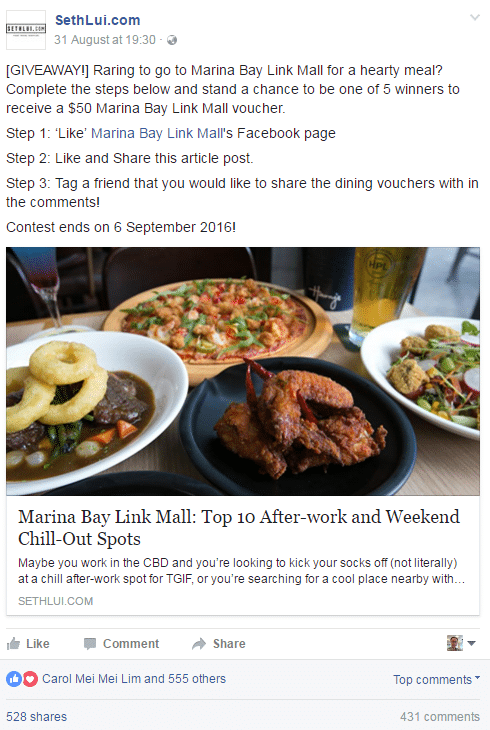 Engagement with your social media posts. 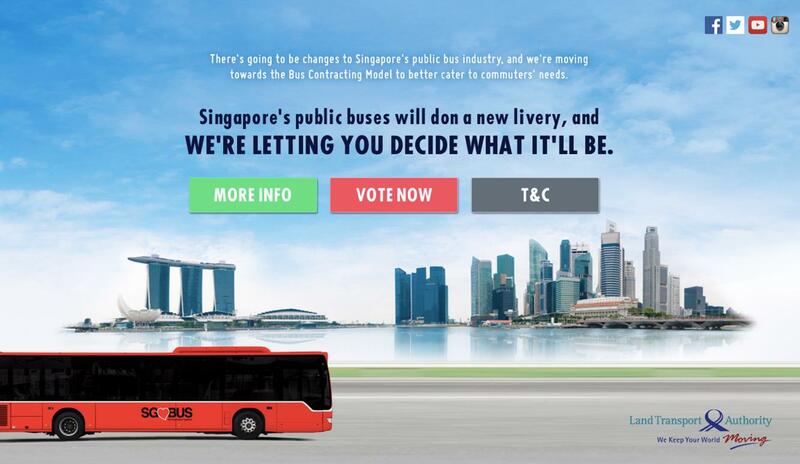 The performance of a campaign across multiple platforms. The performance of your business across various social media channels. How many times a link has been shared. An analysis of your top 100 posts. CoSchedule has a free 30-day trial and then various pricing plans depending on whether the plan is for an individual, a business or an agency, and the size of the business. We would be remiss if we discussed social media analytics and didn’t have Hootsuite on the list. Hootsuite is one of the most established analytics services around, and it supports over 30 social media platforms. Hootsuite provides a central dashboard view for every social media platform, and gives you basic information like number of followers, traffic and growth rates. It then digs into more granular information such as demographics of followers and geography. It will filter results in a variety of ways, such as by location, keywords or hashtags, and gives you a snapshot of what’s being said about your brand, for instance, or your industry. 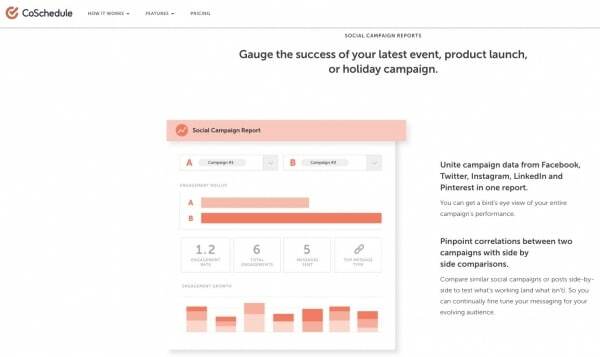 Hootsuite will also measure the impact of a campaign including measurement of conversions by social media platform and return on investment between owned and paid media. It offers a free 30-day trial and then has a variety of price ranges, again depending on the business and its size. 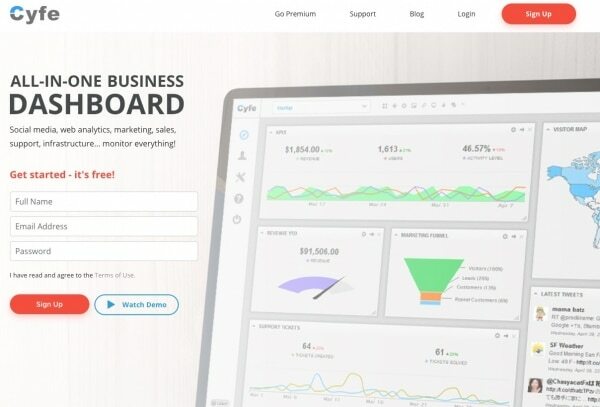 Cyfe is another powerful analytics tools that you can try out for free. This business dashboard syncs data from a wide number of marketing tools. It has multiple integrations and dashboards that cover advertising, monitoring, emails, Search Engine Optimization, sales and web analytics, as well as social media analytics. For social media, Cyfe will give you real-time data on how your brand is doing across 15+ platforms, including Facebook Ads and Facebook Pages, Instagram, Twitter Ads and Twitter, LinkedIn Ads and LinkedIn, YouTube, Google+, Pinterest, and Vimeo, to name a few. It also measures the return on investment of your social efforts. Cyfe will give you statistics like followers and engagement, while also monitoring things like top performing posts. 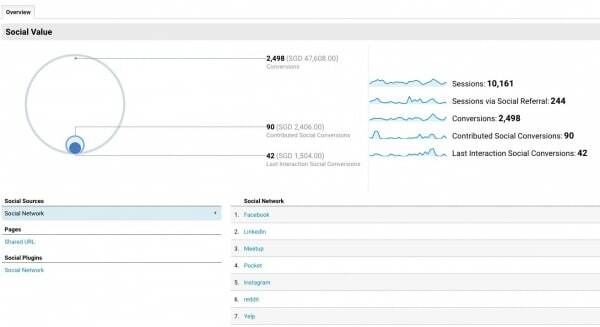 Cyfe also provides a great view of your social media analytics with dashboards that allow easy reporting and sharing on the performance of your business on social media. There are also choices for platform-specific analytics. If you want to focus on a specific platform or two, there are those analytics tools that are expert at providing information specific to certain platforms. 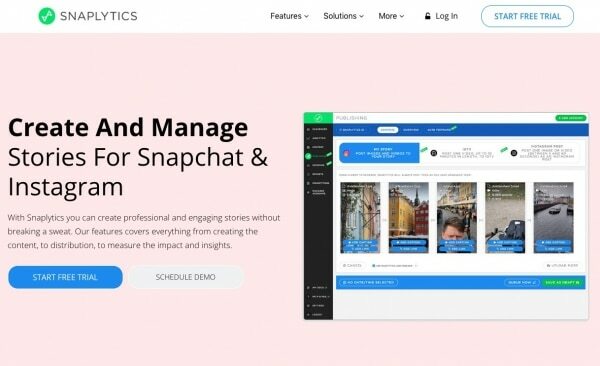 For instance, Snaplytics has analytics specifically for Snapchat and Instagram only. This tool can build a library of a customer’s historical content and their engagement with your business. It also allows you to find top performing posts so you can create similar content, and provides a benchmark figure to allow you to compare results with your industry overall. Snaplytics also provides quarterly reports, blogs and videos to help business maximize their effectiveness. 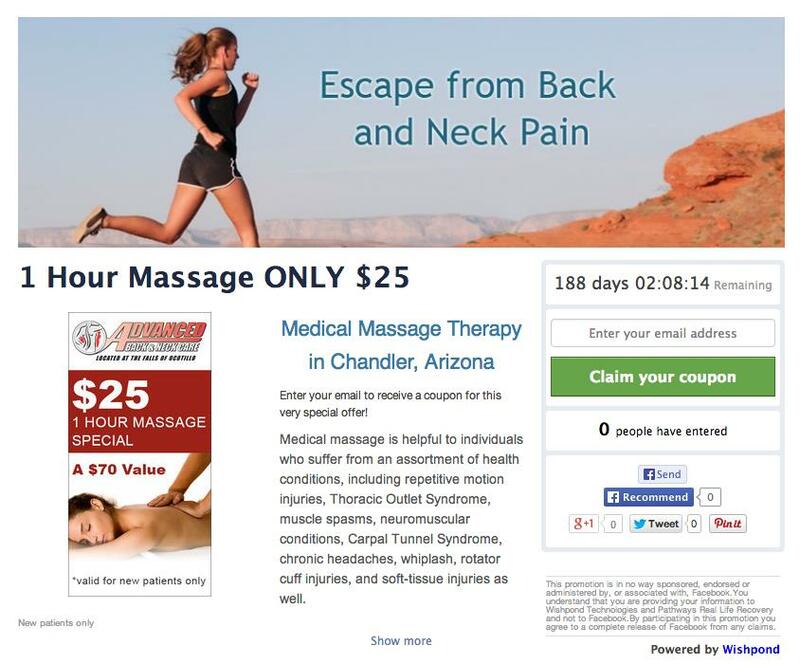 Pricing plans vary but businesses can test a marketing campaign free for 14 days. 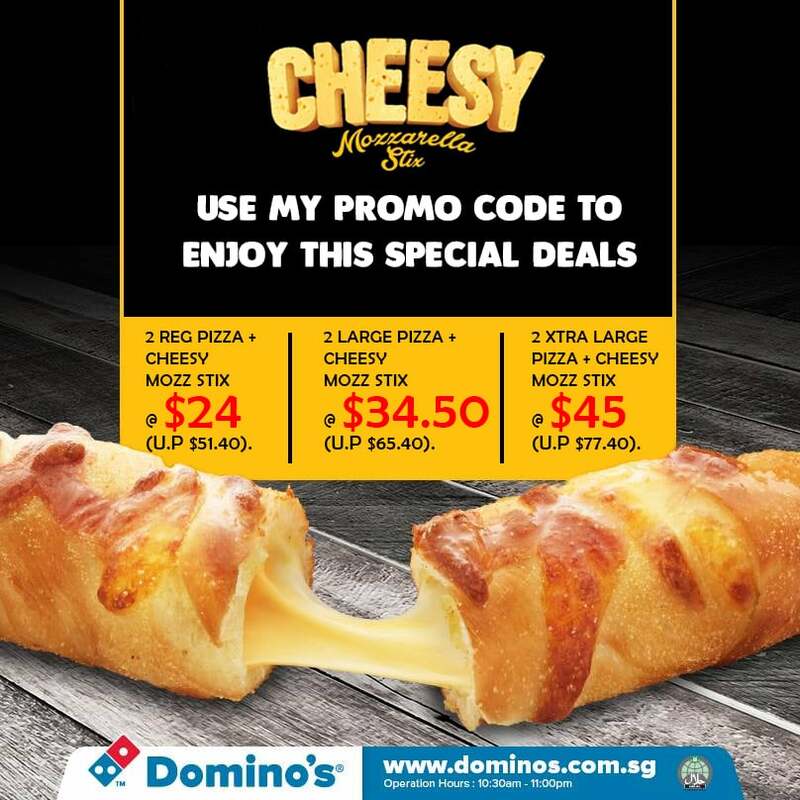 The use of hashtags has been proven to boost the performance of advertisements and reduce the cost-per-click, while also providing cross-platform integration (for instance, across Twitter, Instagram and Facebook). Analytics on hashtag performance might be important to your company, and if so, Hashtagify is for your business. Hashtagify provides a variety of information on hashtag criteria, such as overall popularity, trends by the week and month, the languages used, and more. Using the results generated, your business may get inspiration from a successful existing campaign, or test the distinct nature of your campaign. 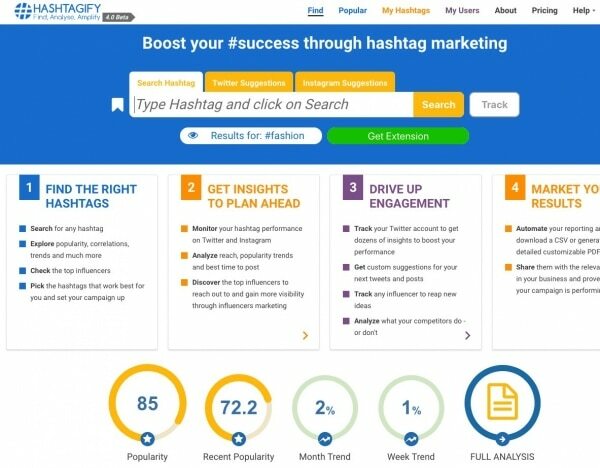 Hashtagify has a free search tool to allow for hashtag research, but for more in-depth data, there are monthly plans. It’s not easy to navigate the world of data analytics, so it’s great to have powerful tools at your fingertips to give your business the insight it needs to improve its performance on social media. We have made our top six picks with a view to giving you some options depending on your business, its size, the social platforms you use and your budget. Some of your decisions around a tool to use may depend on the platform or platforms your business uses. For instance, if you’re focused only on Snapchat, check out our Number 5 pick, Snaplytics. But if your business uses a variety of social media platforms, Number 3 Hootsuite may be your best option. If you want more than social media reporting, Cyfe might be a great option for your business. And if you want power at no cost, Google Analytics is a top choice. What’s important is that you choose a tool that gives you the information you need to make great business decisions. 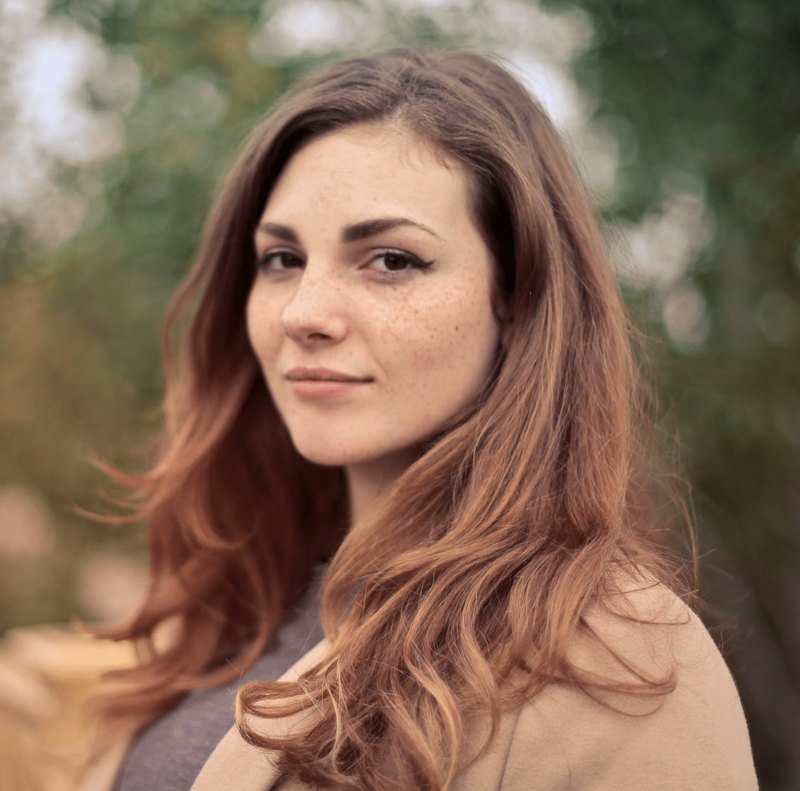 Danielle Canstello is party of the content marketing team at Pyramid Analytics. They provide retail analytics solutions and business intelligence software. 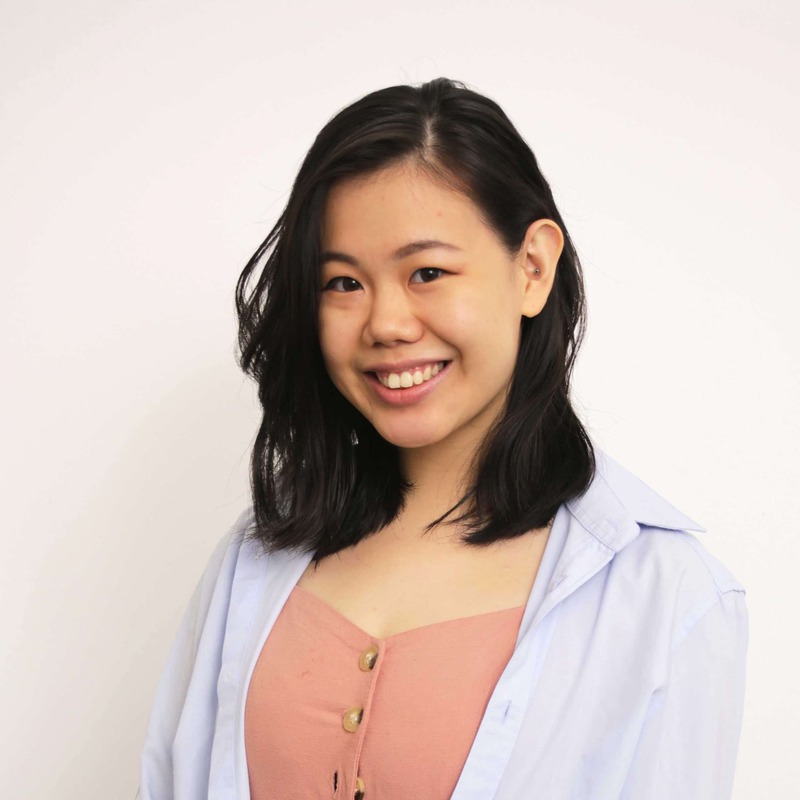 In her spare time, she writes around the web to spread her knowledge of the marketing, business intelligence and analytics industries. Social media is now mainstream media. Affecting billions around the world, they exert more impact on how people think, feel and act than any other factor. Collectively, social media influence public opinion, political landscapes, and economic environments in vast and significant ways. 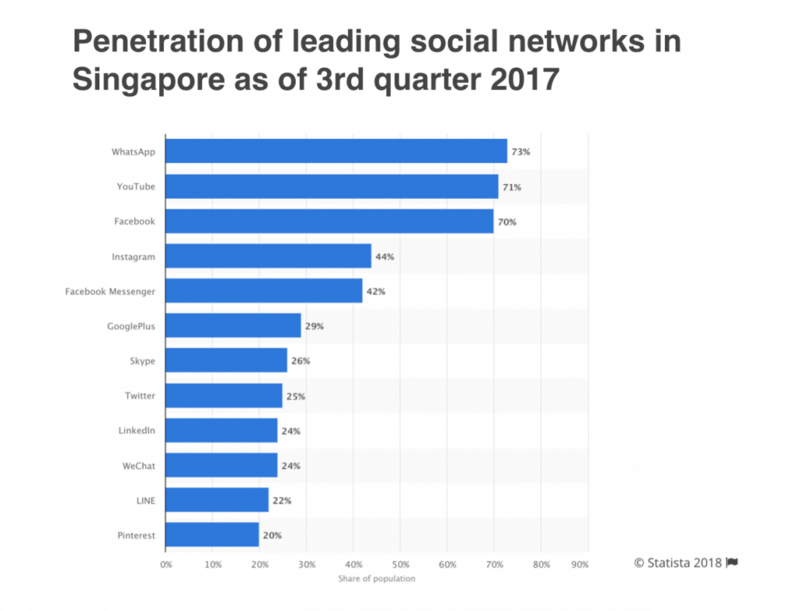 From Facebook, Instagram, and LinkedIn, to YouTube, Twitter, blogs and Pinterest – social networks and apps are the stalwarts of the digital world. 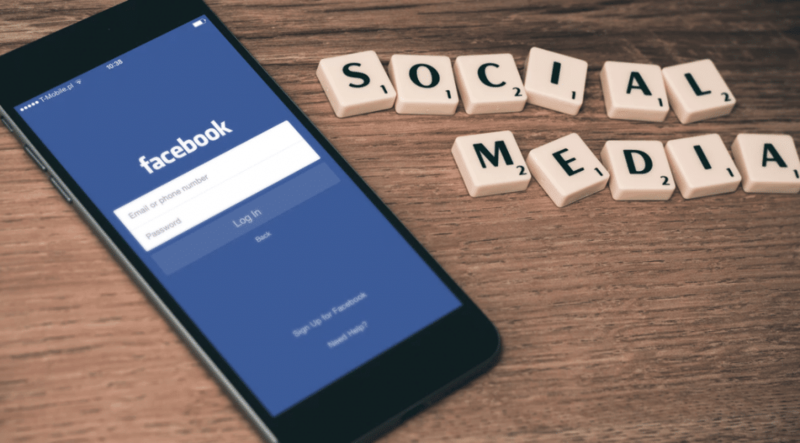 As the world adopts a social-first stance in consuming content, social media marketing has become an imperative for businesses and brands both big and small. 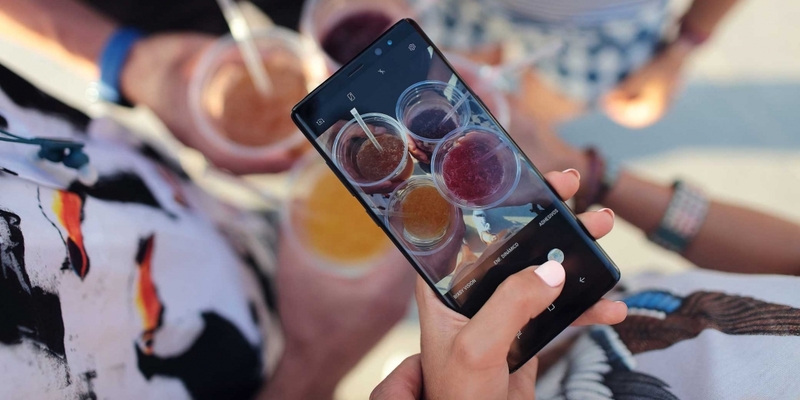 Huge conglomerates like Coca-Cola, Ikea, Intel, and Airbnb have used social media to enhance brand awareness, grow communities and improve their marketing reach. Ditto for solopreneurs, start-ups and SMEs attracted to social media’s lower cost of entry relative to traditional media channels. But what does social media marketing truly mean? And how can your brand leverage on this ubiquitous channel? Social Media Marketing involves using social networks to create, curate and share valuable content to a targeted audience in order to market a company’s products and services. The goals of social media marketing are to increase brand awareness, build online communities, attract leads and generate revenue. Customers: You need to know who your target audiences are, where they typically hang out online, and what their interests are like. Content: Social media eats, lives and breathes content. Your goal as a social media marketer is to create engaging and shareable content that amplifies your brand. Channels: There are numerous social media networks, from Facebook, LinkedIn, Instagram, YouTube, Twitter, to Pinterest and blogs. Each have their own unique qualities. 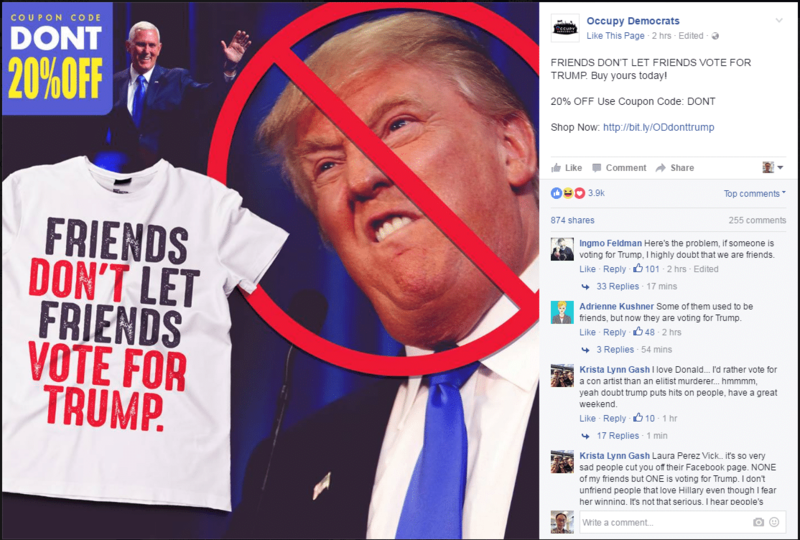 Campaigns: Increasingly, companies realise that they need to invest some advertising funds to amplify their social media marketing activities. 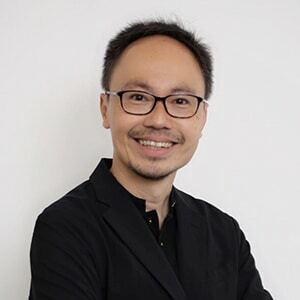 Channels: Calibration: Thanks to the availability of social media analytics tools, you can assess the results of your marketing efforts and calibrate them accordingly. Communities: If content is king on social media, then communities must be queen. Building a strong network of followers can help your brand gain traction online. Let’s go through each of these components. 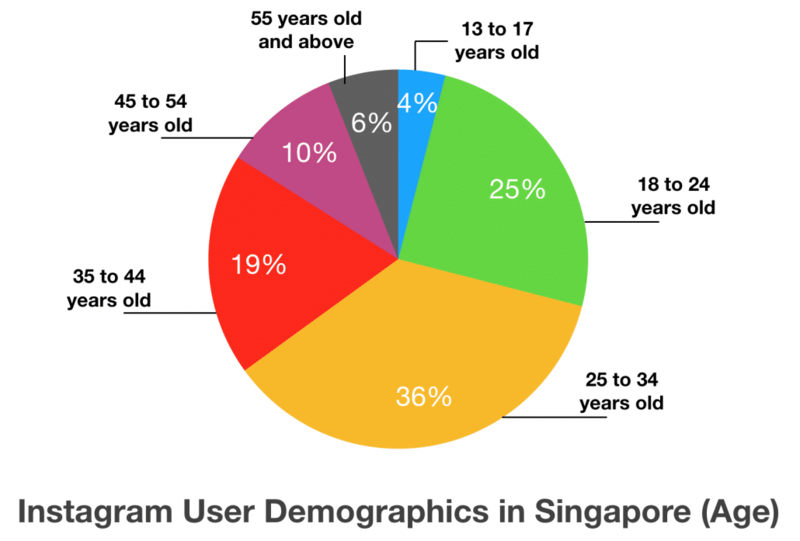 Who Are Your Customers On Social Media? First and foremost, you need to identify your online customers. What are their educational and economic backgrounds like? Where do they live? What concerns do they have in their day-to-day lives? If you are selling to businesses, these considerations may include the size of the companies you are reaching out to, their interests, as well as their procurement processes and cycles. Beyond these pointers, it is also important to consider your customer’s online activities. What are some of the topics that could trigger their interests? How can you distil and discern their pain points and keywords? By mapping out your customer profile, you’ll have a stronger foundation to begin your social media marketing activities with. What Content Should You Create On Social Media? Content is king. On social networks, they may take a wide variety of formats, from text posts, image posts, link posts, videos, to infographics and ads. Searchable: Is your content ‘findable’ online, and will people care enough to search for it? Snackable: Does your content fit well into a mobile-first format? Is it easy to consume and understand? Shareable: Does your content make your users want to share it on their own social networks? Beyond these factors, it is also important to consider the value of storytelling. 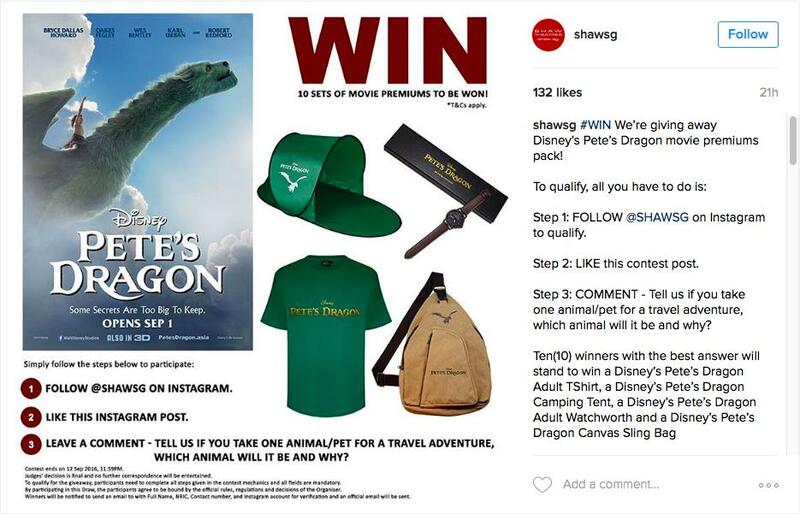 Virtually all the legendary campaigns on social media have a strong storytelling component. If you don’t know how to get started, check out my winning schedule for social media content creation. Related: What Is Content Marketing? Definition, Benefits, and Examples. Which Social Media Channels Should You Choose? This is probably one of the most asked questions on social media marketing. The answer really depends on your goals and objectives. Let us look at some of the more popular channels below. With over 2.2 billion worldwide users, Facebook is the largest social network of all. Increasingly, more users access Facebook using their mobile devices. Functioning more like a content management system than a conversational platform alone, Facebook allows you to create a wide variety of content types – from text, photos, videos, and articles, to live videos, stories (short video/photo segments typically created using a mobile phone), offers, polls, and much more. 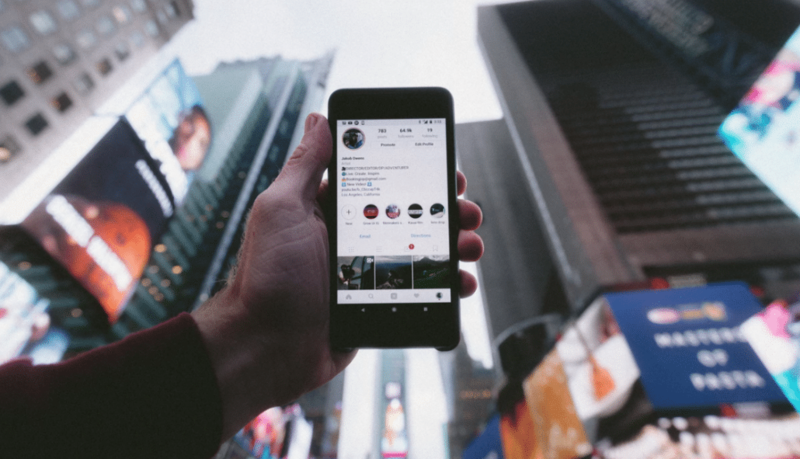 Unlike Facebook, Instagram is ‘social media lite’ – this means that it has stripped down features with a greater emphasis on visual content like photos, videos and stories. 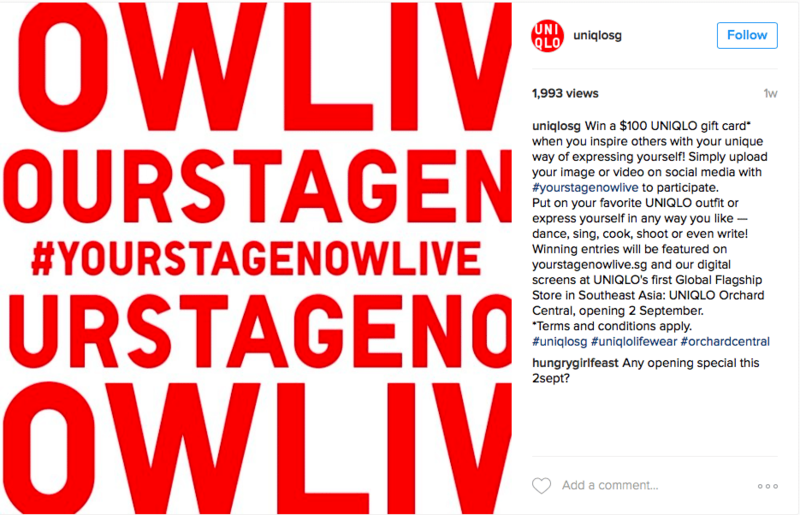 Due to the way it is built, Instagram tends to attract influencers with massive followings. 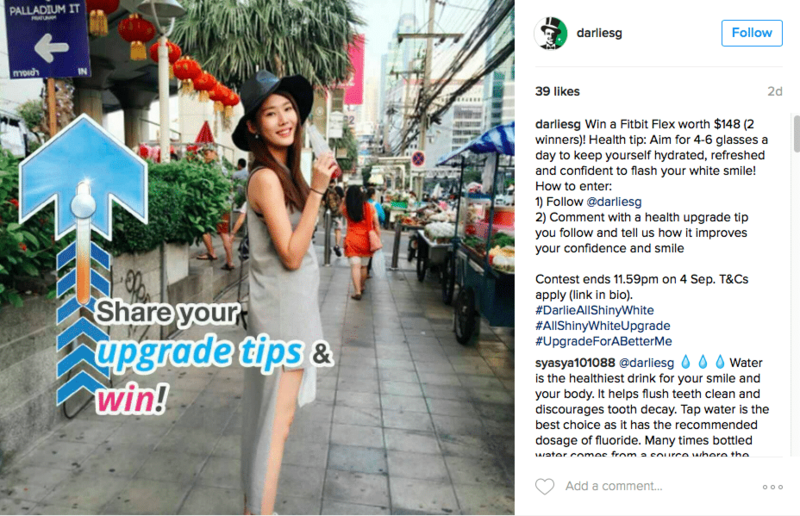 Lifestyle brands have also used Instagram to great effect. 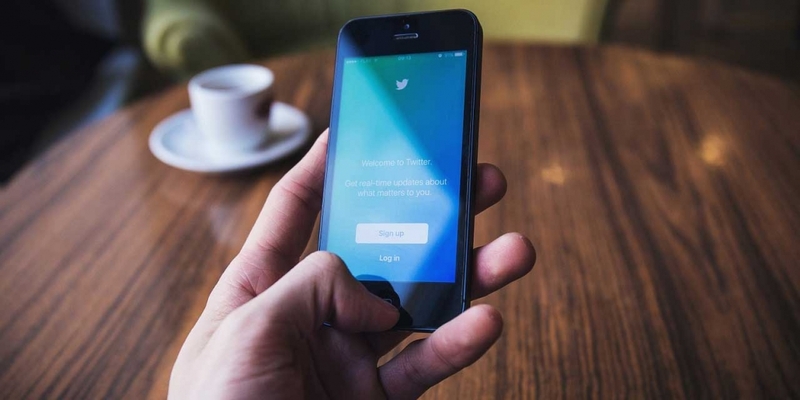 Now capable of allowing up to 280 characters, Twitter functions more like a broadcast and conversational channel than a content repository. Savvy users tweet multiple times a day, sharing links to their content or responding to tweets by influencers. Increasingly, tweets with embedded videos and images work better in gaining traction than pure text tweets. 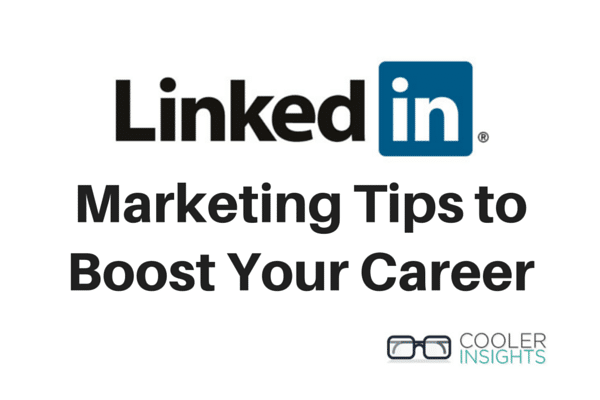 With over 550 million global users, LinkedIn is the largest professional social network in the world. It is also one of the most under-used and hence opportunities abound for B2B professionals to tap this network. Unlike the past, LinkedIn now works more like a professional reputation platform than an online resume. Companies have also used this social network to build their follower base, engage business partners, and improve their lead generating efforts. As the second largest search engine after Google, YouTube has carved a niche for itself as the new TV. Virtually everyone watches a video on YouTube to entertain, educate or enrich themselves. 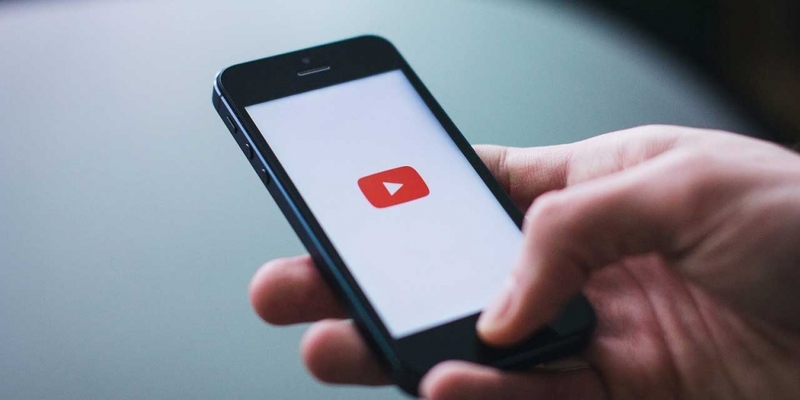 With the huge number of YouTube Channels available out there, gaining traction here requires a significant amount of investment in producing quality videos that are keyword friendly, topical and valuable. Contrary to popular belief, blogs are not dead. 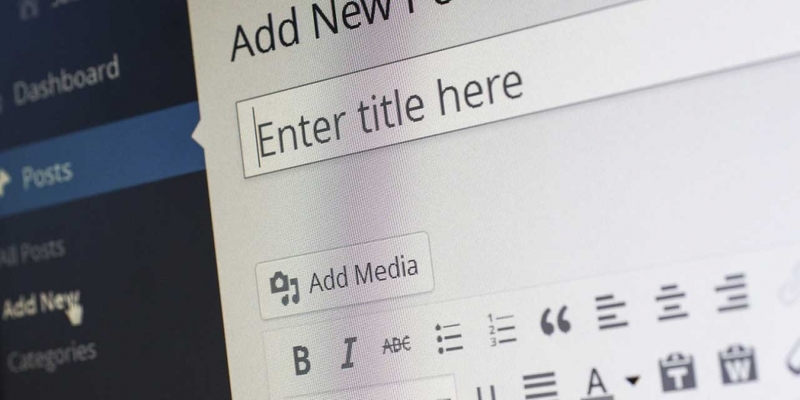 Google and other search engines love blogs on websites as these are frequently updated, producing fresh and useful content for search engine users. The beauty of blog articles is that they can be optimized to be both search engine and social media friendly. Beyond that, blogs also reside on your own website and are thus more immune to the vagaries of ever shifting social media algorithms. Like any marketing effort, social media marketing is characterised by campaigns which are usually targeted at launching specific brands, product offers, or events. Target Audiences: They have a specific targeted audience. Goal Driven: They have a specific goal, measured in quantifiable results. Time bound: They happen during a specific time duration and date. Fixed budget: They normally have a fixed budget. 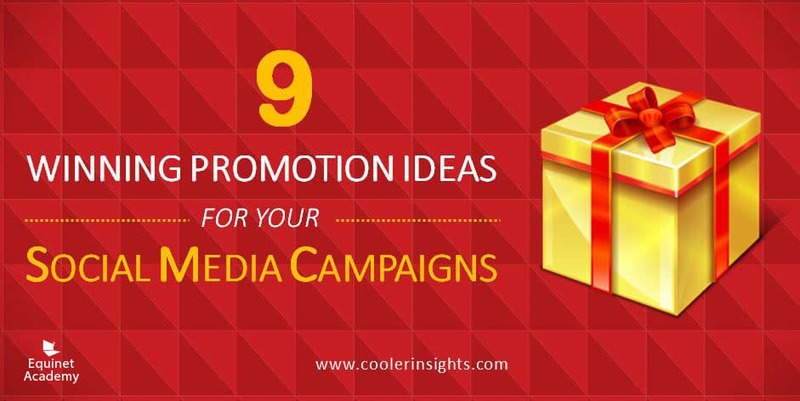 In the social media world, advertising campaigns normally include a promotion or a lead magnet (a valuable piece of content, product or experience) that is used as a bait to attract participation. 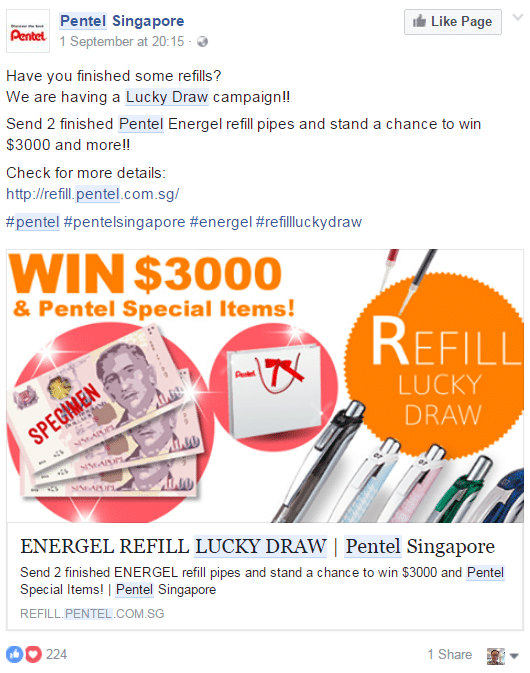 These are usually highly targeted to ensure that the right potential customers are drawn to the campaign. How Do You Track Social Media Marketing Success? Thanks to the ever-growing basket of tools and apps available, you can easily track the performance of your social media campaigns on a single or multiple social media platforms. Social media analytics are usually measured in terms of your page or account performance or your campaign performance. Some of the indicators tracked may include the engagement rate of your posts, growth rate of fans, number of clicks to your website, as well as advertising efficiency metrics like your cost per click (CPC), cost per thousand impressions (CPM), or cost per lead. How Do You Build a Social Media Community? 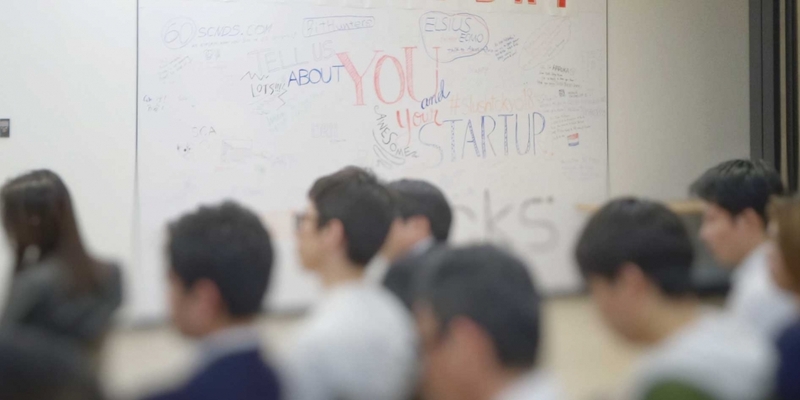 Community building is more of an art and a science, and it requires stamina! 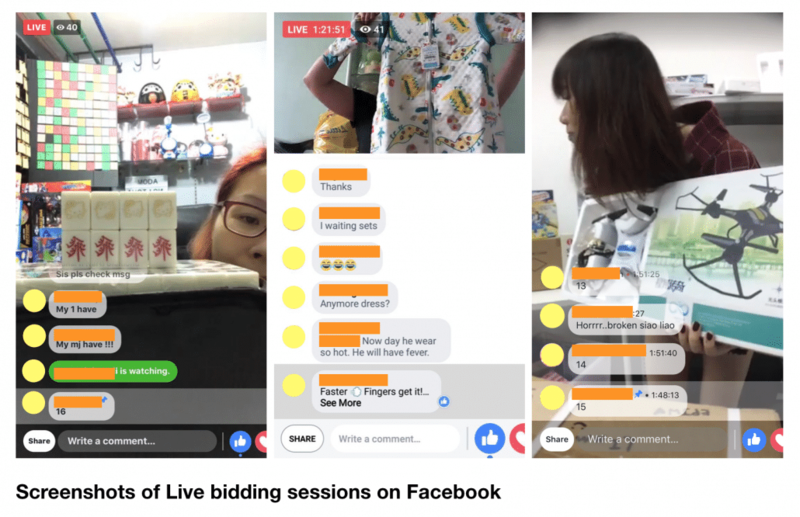 To succeed in growing a thriving online community, you need to adopt a systematic approach involving recruiting of new members, engaging them with valuable content and offers, sustaining community interest, and working with brand advocates. 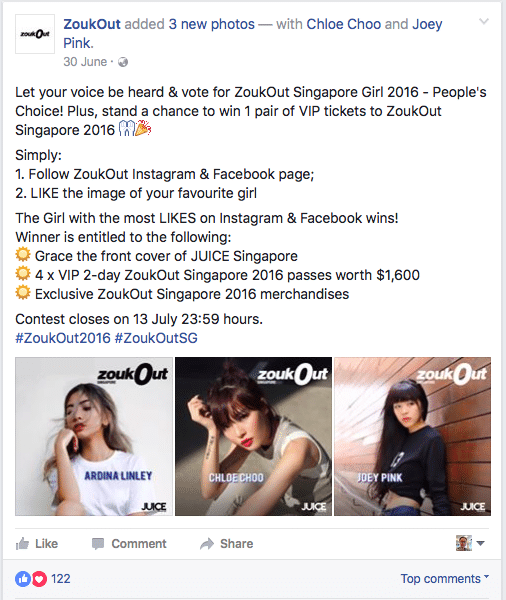 Check out this article on social media contest ideas that you can immediately use to generate more engagement and awareness for your brand and products. Brands that have done well on this space include Whole Foods Market which regularly serves useful recipes or holiday cooking ideas to their Facebook and Instagram fans. You may also choose to follow the example of Airbnb, which crowdsources attractive photos from their network of home owners to be shared on the channel. Ready To Learn More? Sign Up For Our Social Media Marketing Course! What we have touched on above is just the icing on the cake. In our two-day social media marketing course, we cover a detailed six-step process focusing on the most important social networks you need to know. You will be equipped with hands-on knowledge and valuable tools to strengthen both your skills and knowledge of social media marketing. Find out more about the course here. 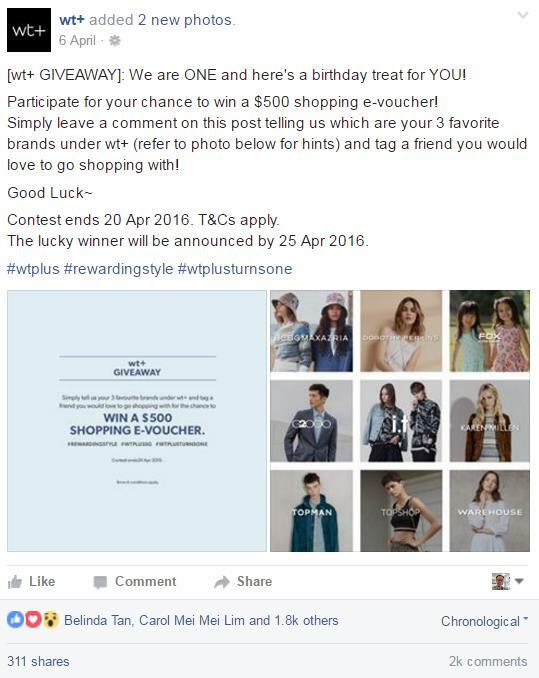 Are you hiring an intern to manage your company’s social media channels? Or outsourcing social media marketing to the cheapest vendor you can find? Perhaps that’s why social media marketing isn’t generating that ROI which your company hungers for. Like other aspects of your business, you need to be strategic and systematic in how you develop and deploy social media as a marketing strategy. 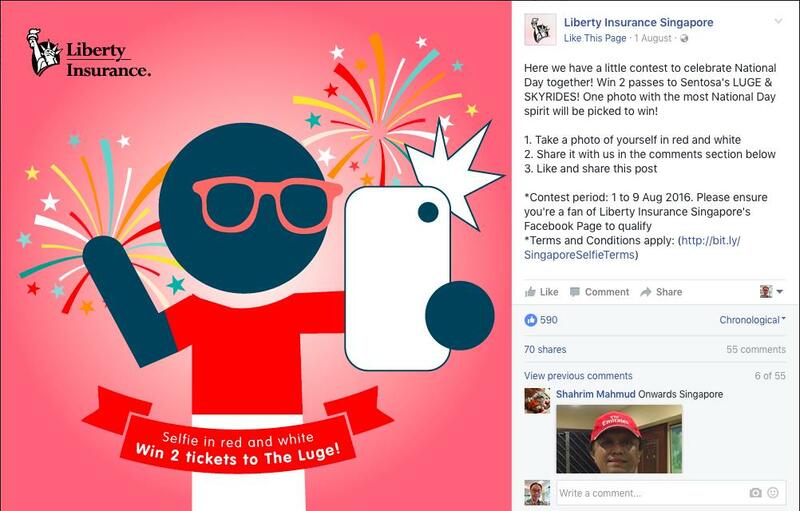 Just having a Facebook page or Twitter account alone and sharing photos from your office party wouldn’t do. This is where my six-step process for social media marketing comes in. One of the first things you need to understand about social media marketing is that it is a journey rather than a destination. The most successful social media marketers in the world knows this. 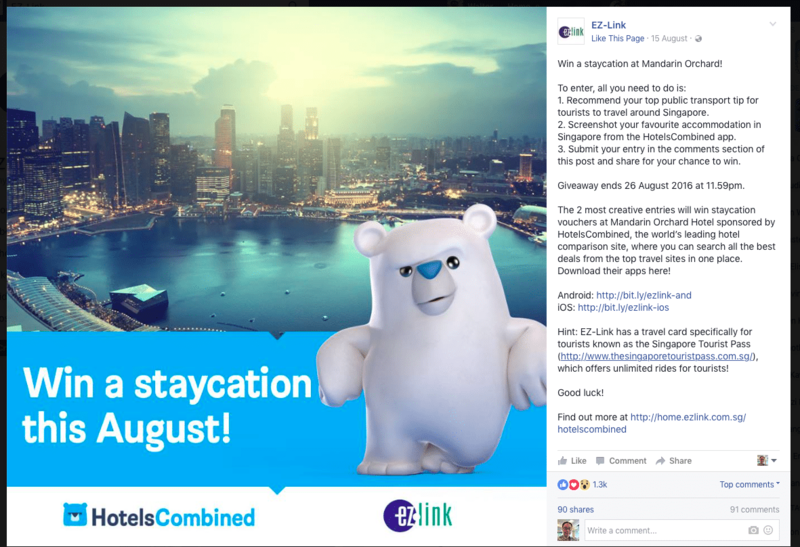 This is why they are relentless in continuing to push out great content, share interesting information with their communities, and refine their social advertising strategy with ever targeted messages. 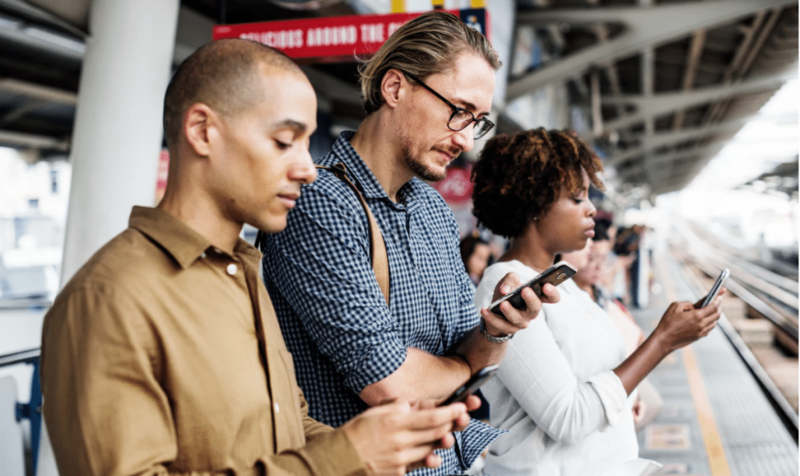 Unlike traditional marketing efforts on television, newspapers or radio, social media activities need to stretch beyond campaigns to include daily and weekly practices. It is a continuous learning cycle of constant analysis, measurement and refinement. To guide you along, consider using my 6-step social media strategy (below) as a guiding post for your own efforts. The first step in social media marketing involves understanding where you currently stand. By now, virtually every small or large brand would have some social media and online presence. However, few of them would know how successful they’ve been, who they seek to serve, or how they compare with other players in the market. Conduct a comprehensive social media audit to determine how well (or badly) your social media channels like your Facebook page are performing. This would look at Key Performance Indicators (KPIs) like the number of fans or followers you have, frequency of updates, levels of engagement (likes, comments and shares), and number of referrals made to your website. You need to understand who you wish to target. Describe the demographics (age, education, income, etc), psychographics (interests, lifestyles, and attitudes) and online behaviours of your target customers. Zoom in on how they search for content online, and determine what keywords they use. Identify which brands your company competes against, and measure how you square against them online. Using tools like Fanpage Karma or Buzzsumo, you can track the frequency of your competitor’s social media posts, engagement of each posts, as well as their most shared content. Next, you need to establish what your goals and objectives for social media are, as well as how your customers search for, locate, engage with and transact with you. Part of defining also involves zooming on your customer journey and where they “land” on your website. You need to understand the role which social media plays in attracting visitors, generating leads and converting them to become your customers. Now that you know where you’re going, you need to determine how you can trigger social sharing amongst your targeted communities. Social Currency: Remarkable facts or news, game mechanics, and making people feel like insiders. Triggers: Specific days, seasons, phrases, or contexts of use. Emotion: High arousal emotions like awe, excitement and amusement (or even anger). Public: Creating a monkey see monkey do effect. Practical Value: Offering listicles, tips, guides, and FAQs that help your customers. Stories: Using the power of storytelling. If content is king, community must be queen. 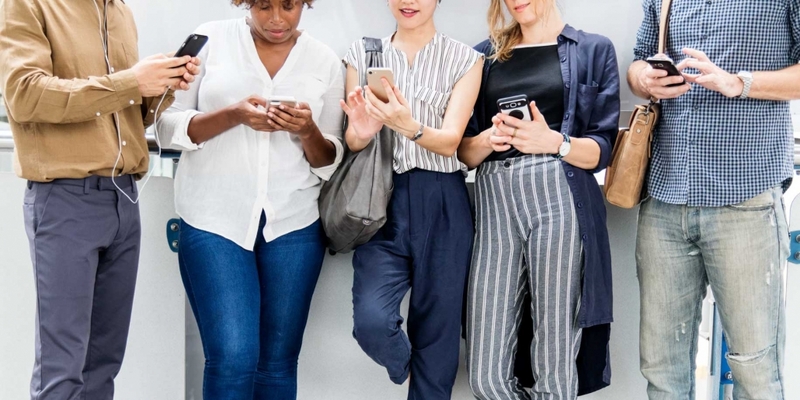 Here, you need to craft out your social media community management tactics to recruit online members, engage them, sustain your communities, and develop advocacy amongst your members. 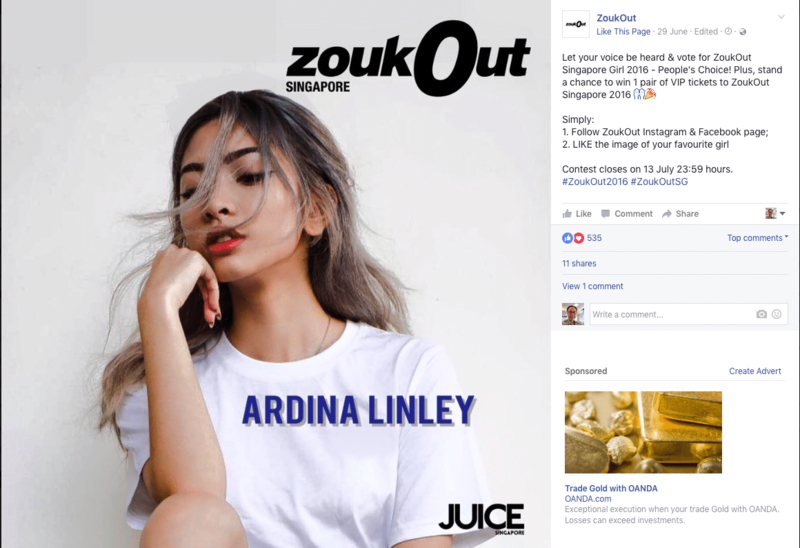 Once you’ve accomplished some social sharing through contagious content and built supportive communities of raving fans, you need to start monetising. There are two main ways to do so. 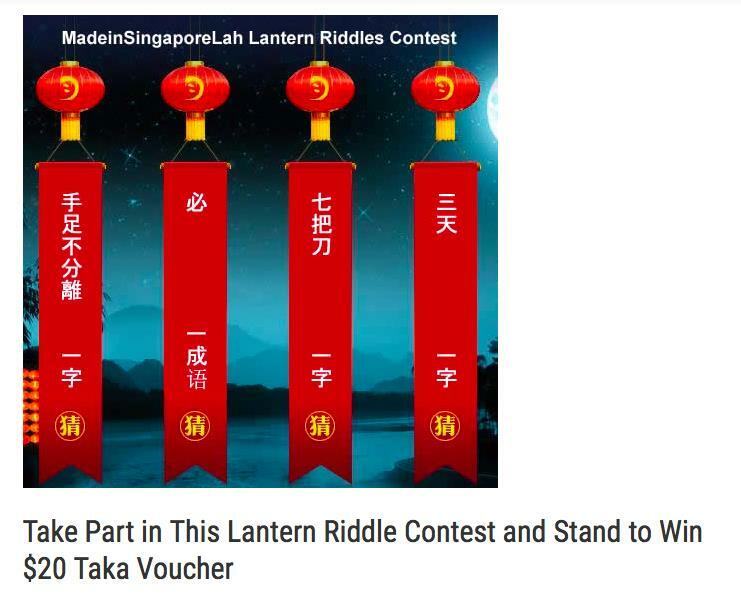 These are promotional mechanics like contests, freebies and discounts which are aimed at triggering participation, sign-ups and even purchase. 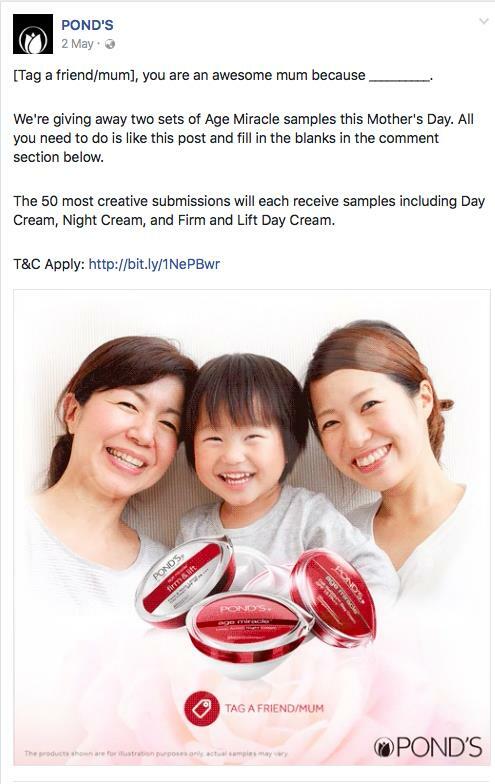 To get the word out there, you may wish to invest in native advertising channels like Facebook Ads, sponsored posts, or influencer marketing activities. A hot tip here is to ensure that whatever forms of advertising you do is trackable and measurable. This could include embedding a trackable URL, using tools like Google’s URL Builder. You cannot manage what you do not measure. With superior analytics embedded into all things social, there really is no excuse for you not to know what your ROI is. Remember the social media KPIs which we have established earlier? Beyond these indicators, you may wish to also assess the effectiveness of your advertising investments using metrics like Cost Per Thousand (CPM), Cost Per Click (CPC), and Click Through Rate (CTR). You can read more about social media marketing ROI in my comprehensive post here. Create the right organisational structure and ensure that you’ve got adequate human resources to do the necessary. This covers jobs like social media strategy, content strategist, creative/art director, community manager, and digital analytics. Ensure that you’ve got the right budgets allocated to social media marketing each year, and for each campaign. This would be especially interesting to your CEO and your CFO! Thankfully you already worked out your Social Media ROI and can stand up to scrutiny. Are there guidelines for your employees on how they should use social media? What about your Facebook fans? 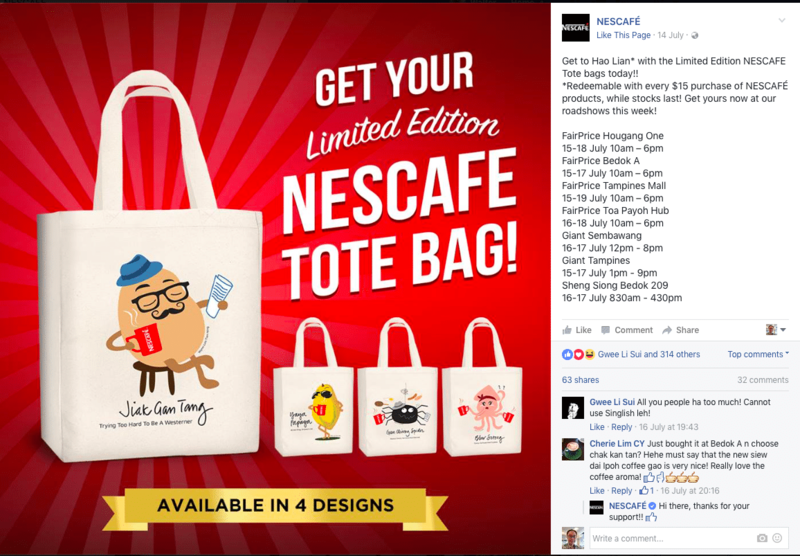 Consider crafting them to minimise ambiguity in managing your social media channels. Last, but certainly not least, you need to consider what you should do to continually cultivate influencers, manage “haters” and expand your earned media. Together with content marketing, Search Engine Optimisation (SEO) and Pay Per Click (PPC) advertising, social media marketing is one of the pillars of the digital marketing world. By using a systematic, cyclical and step-by-step process, you are better able to target your customers, track the success of your campaigns, and train your social media team to determine what works and what doesn’t. 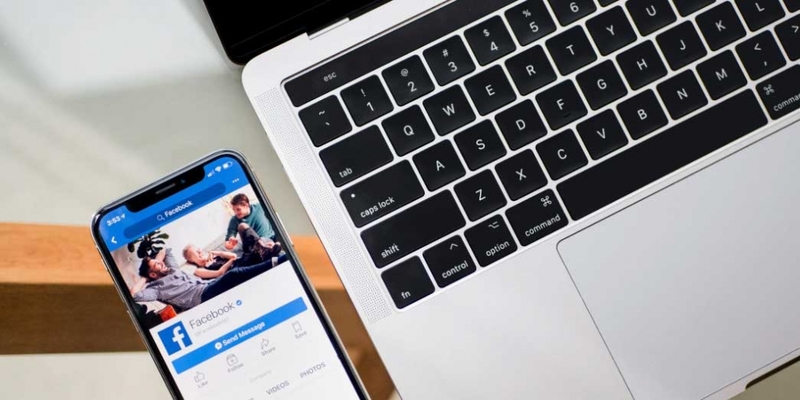 This “lean” approach enforces learning and ensure that you could improve your social media strategy and tactics with each campaign that you launch. 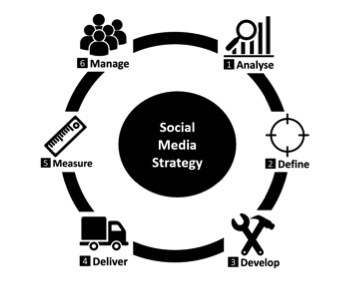 Master all the six steps of social media marketing strategy in my 2-day social media course today. Done in partnership with Equinet Academy, this rigorous two-day training course will equip you with practical hands-on experience in social media marketing. 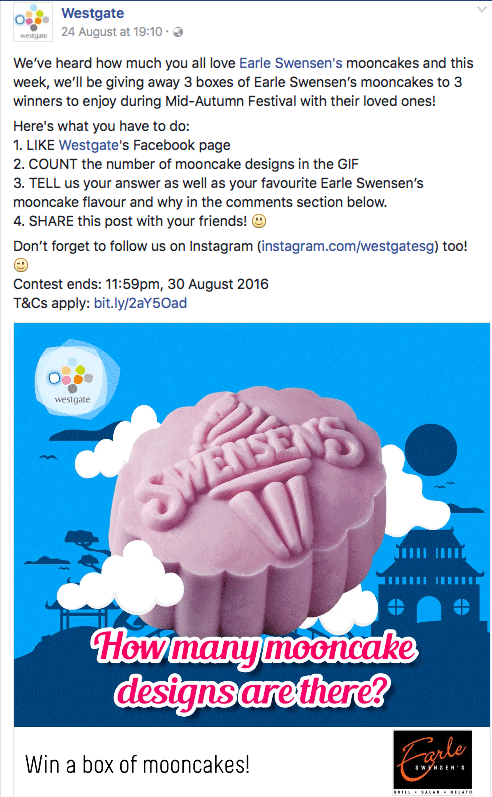 Are there other ways to optimise your social media marketing? I’d love to hear them. Do you have an account on LinkedIn? If so, how are you using it to secure good clients or plum job offers? Celebrating its 12th year, LinkedIn is the most important professional network for individuals and businesses. Unfortunately, many still treat LinkedIn as an electronic rolodex. Failing to recognise the full potential of the social network, you literally leave career and growth opportunities on the table.